The beer dad is an American hero, and we found the fridge to prove it. After a recent flood in Nebraska, two friends surveying flood damage near their land spotted a black box off in the distance. Upon closer examination, it turned out to be an indestructible beer fridge. Full of beer. Bud Light and Busch Light. Still ice cold. “We thought about the poor guy who lost it and hoped he was okay,” Kyle Simpson, Nebraska resident and one of the fridge finders, told the Omaha World Herald. So they did what anyone would do and treated themselves to a couple of the ice-cold beers to wind down from a day of clearing mud and debris, and then decided to figure out who it might belong to. A Facebook post that went viral led them to Nebraskan Brian Healy, who identified the fridge as belonging to his dad and uncle’s cabin, which had so far already survived a 2007 fire. This was the definitive, Platonic ideal of the beer-dad fridge, awe-inspiring in its perfection and origin. With a happy ending, too: It will be returned to Healy’s family by these two beer legends after the water recedes. The feel-good story, covered widely, has everything we want from an all-American beer story. It’s a celebration of masculinity and fatherhood, the triumph of man over nature, the magic of free beer, and also how a fridge full of the stuff is among the greatest divine interventions on earth. We have a lot of warmhearted affection for beer and beer dads, fictional and otherwise. There’s Homer Simpson’s unabashed love of beer in general and Duff Beer in particular — so family friendly you can order some at Universal Studio’s Moe’s Tavern. There’s Family Guy’s Peter Griffin, who’s devoted to Pawtucket beer (which turns out to be Duff beer in disguise). There’s King of Queens’ Kevin James, who continues to peddle the beer-dad jokes in his latest Netflix comedy Never Don’t Give Up. Red-faced, yell-y Brett Kavanaugh became a Supreme Court Justice in spite of assault allegations, in part because he somehow managed to invoke it as “an emblem of all-American maleness,” not to mention normalcy. Presidential hopeful and Colorado Governor John Hickenlooper, a former brewpub owner, is the guy you want to have a beer with in the 2020 campaign (his autobiography is titled The Opposite of Woe: My Life in Beer and Politics. I’m not a dude, but even I personally hold the same esteemed view of dads and beers everyone else seems to: I didn’t even know my dad, but coincidentally ended up drinking the same dad beer he loved later in life, with great enthusiasm. It’s comforting that dads drink dad beer (light, generic, cheap beer), so why would we give them a hard time about it? It’s endearing and funny. It’s as it should be. It’s brewed into our bloodstream and identity. “You could say we came out of the trees to get a beer,” biologist Steven Benner told National Geographic about beer’s 9,000-year-old role in our cultural evolution as one of the most widely produced and enjoyed substances (without it, some experts thing, we’d have no language, no culture). It’s just at first, we didn’t do it to actually get drunk. But now we do drink to get drunk, and not just men, who seem to hold the monopoly on drinking; women do too. For most of history, men drank twice as much and were three times likely to have a problem with it. Now, thanks to marketing, less harsh-tasting drinks, lower costs and women entering the workforce in large numbers, women’s drinking has caught up since the ’50s and now keeps pace with men’s. Women now drink as much as men on a global scale; we may even outdrink them. But because that’s not historically been the case, we don’t target women for alcohol education or different treatment as we should, nor do we educate them about the higher price they pay for drinking. Because women are more vulnerable (smaller liver, higher fat-water ratio to absorb more booze) to alcohol’s deleterious effects, they are advised to drink half the amount (one drink a day max; two for men). This disparity is also evident in how we regard female drinkers, particularly the phenomenon of wine moms. In recent years, we’ve seen a slew of wine mom memes begin to espouse the merits and necessity of mothers knocking back a half of bottle of wine a night to cope with their modern existence. 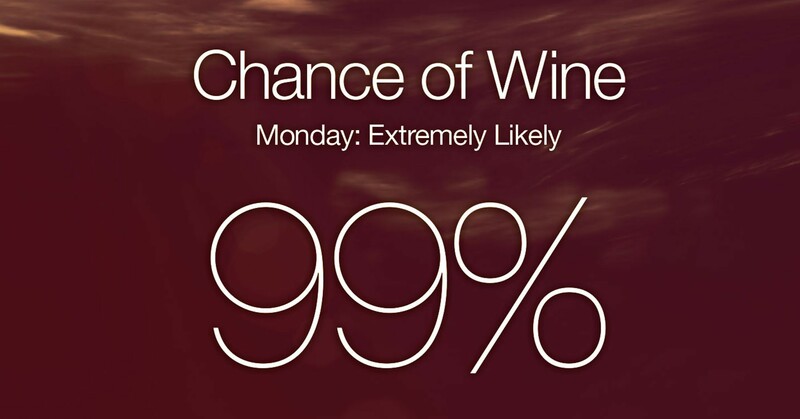 “Forecast: 99 percent chance of wine!” on social media. The backlash is necessary not just because the memes are cheesy — calling anything “mommy juice” is an oddly infantilizing, eternally cringe-inducing assertion from an adult in charge of a small child, or an adult in charge of anything. But also because it’s true: We shouldn’t glamorize alcoholism or excessive drinking. Erin Shawstreet, an outspoken voice on the Wine Mom Problem, has championed the media to “tell better stories” (also the name of her PR company) about the messaging around alcohol. For women it’s particularly insidious, because alcohol is being associated with health, beauty, fitness and travel, she explains in a podcast about her work. She notes that memes about how “Mommy needs wine” or “rose all day” overshadow the staggering numbers about problematic drinking. She’s not against drinking, just the way it’s being sold as a healthful solution to life’s balancing act. I have no critique of Shawstreet’s sentiment or her work. But I think it’s interesting that beer dads managed to escape the stigma and the liability in pop culture. Consider the stereotypes: Beer dads don’t drink to “cope” with parenting, but rather to relax. Drinking, for them, is a sign of culture, a sophisticated hobby. Recently, the Chicago Tribune ran a piece asking if boozy mom culture has “gone too far,” in celebrating drinking among women, and Eileen Staskunas wrote in asking why they didn’t mention dads drinking. “What I cannot understand is how writer Kate Thayer omits the fact that the dads of America have been enjoying casual drinking for decades without judgment,” she asks, noting that “men are often depicted throughout our culture as enjoying alcohol while watching a ballgame, relaxing after work, enjoying a hobby (Homer Simpson, anyone? ).” She wonders if perhaps had we noticed men’s drinking was a huge problem, women might not have sought to emulate it or claim it for themselves. It’s a salient point. Shouldn’t our affection for drinking (within reason) go both ways, and shouldn’t our concern for its troubling dark side extend in every direction — moms, dads or any parental figure? That way, when any of us lands on a fridge full of free beer (or rose, as the case may be), it can just be a cause of celebration, as it should be.